Back to Basics is the teaching and preaching ministry of Pastor Brian Brodersen. Back to Basics provides practical biblical principles for daily living found in the Word of God. On this website, you will find a collection of teachings, books, videos, and other valuable resources that will encourage your walk with the Lord. Elizabeth Prentiss, the hymn writer who penned “More Love to Thee” and author of Stepping Heavenward, was no stranger to suffering. She lost her father to tuberculosis, had health problems as an adult, and lost two of her six children. However, Elizabeth discovered early on that Jesus Christ and His love was her strength through tragedy, busyness, and difficult circumstances. To grow in love for God was the one great passion of her life. And many have testified that Elizabeth’s letters, books, and poems inspire them with that same passion. 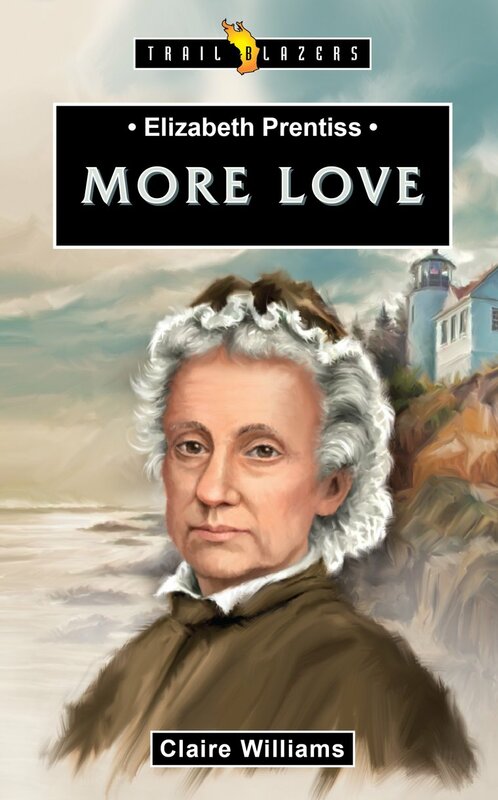 Elizabeth Prentiss: More Love is a Trailblazer biography, an amazing series written to introduce young and old to heroes of the faith. This month, Back to Basics Radio will send you this easy-to-read biography as our gift of appreciation for your generosity. So request a copy for yourself, your children, or your grandchildren today! Once your donation is processed, kindly email contact@backtobasicsradio.com, and we will send out your copy immediately. Thank you for your continued support.